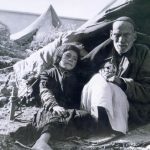 Nakba Day (Arabic: يوم النكبة Yawm an-Nakba), the Day of the Catastrophe, commemorates the displacement of Palestinians that preceded and followed the Israeli Declaration of Independence in 1948. 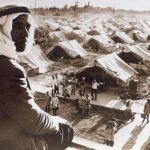 An estimated 700,000 Palestinians fled or were expelled, and hundreds of Palestinian towns and villages were depopulated and destroyed. 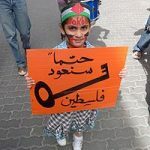 The key is a symbol of the Nakba, the Catastrophe, refering to the many Palestinians who still have keys to their homes from which they were expelled in 1948, expecting to return in a few days. 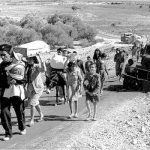 Prayer for Peace with Justice in Israel/Palestine, United Church of Canada, click here. 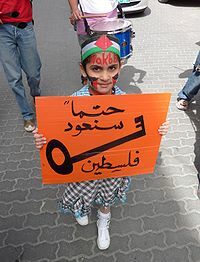 Prayer for Israel and Palestine by IfNotNow-Chicago, click here. Prayers for Personal and Corporate Worship: National Service of Mourning in Remembrance of those who have died in Palestine and Israel, United Network for Justice and Peace in Palestine and Israel Click here. The National Council of Churches in India has published helpful information. Click here to read more. To go to Rabbi Brant Rosen’s blog, click here.